Classic Cars: Are There Advantages to Manual Transmissions? Many classic car enthusiasts will tell you there’s nothing quite like driving a stick shift, or manual transmission, vehicle. They call these cars “engaging”; forcing drivers to learn more about their vehicle and how it works. Of course, in the last decade and longer, manual transmissions have been pretty steadily replaced by automatic transmissions, which many of today’s drivers prefer as they are easier to drive. However, stick shifts haven’t completely gone out of style yet! Cheaper: Many people feel that cars with manual transmissions are cheaper to buy and repair. Of course, this may differ with classic cars, as many more factors go in to determine the value of classic cars than that of modern vehicles. Safer. Not only does driving a stick shift require the driver to use both hands, leaving no room for distraction by texting or eating, accidents involving a vehicle accelerating uncontrollably simply cannot happen with a manual transmission. In a stick shift, a driver would simply have to step down on the clutch and coast to safety, should their car do that. Better fuel efficiency. With stick shift, drivers have more control. So, if you know how to shift those gears, you can manage far better fuel efficiency than an automatic. While you may not drive your classic car much, if at all, a manual transmission may benefit you if you do decide to drive it. No matter what type of transmission your classic has, At Condon Skelly, we’ve been helping our customers protect their classics with affordable, industry-leading insurance coverage since 1967. We’re a group of collectors, enthusiasts, and professionals who specialize in insuring all types of collector vehicles. For more information, please contact us today at (866) 291-5694. The history of the VW beetle goes back to 1924, and was actually an idea conceived by Adolf Hitler. While in prison following the failed revolt on the Federal German capital, he theorized that to solve Germany’s unemployment problem, the Government could build special roads, called autobahns, for motor vehicles, and mass-produce a car that the average man would be able to buy. Thus came the Volkswagen, also called “the people’s car”. 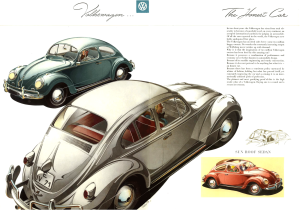 Work on these roads began in September of 1933, and the designs for the Volkswagen were not finalized until 1938, but the vehicle finally saw the light of day in 1939. Due to WWII, production was temporarily halted, but from 1945 on the Beetle was produced in significant numbers. The Beetle model was internally designated the Volkswagen Type 1 in 1945, and was marketed simply as the “Volkswagen”. Later models were designated VW 1200, 1300, 100, 1302 or 1303. The first three model numbers indicated their engine displacement and the latter two were derived from the type number and not indicative of engine capacity. An interesting fact to note about the history of the VW beetle is that the same engine design has driven the through its lifetime. The VW Beetle was designed to sustain high speeds on the autobahns. Eventually, the Beetle gave rise to variants, including the Volkswagen Karmann Ghia and the Volkswagen Type 2 bus. The Beetle marked a significant trend led by Volkswagen, Fiat, and Renault where the rear-engine, rear-wheel drive layout had increased form 2.6% of continental Western Europe’s car production in 1946 to 26.6% in 1956. Although the VW Beetle has a rich and long history, manufacturing of the car ceased in Germany in 1980, and by 1981 Mexico was the only company that was still producing the vehicle. 65 years after its original launch, the last Type 1 VW Beetle rolled off the production line at Puebla, Mexico on July 30, 2003. This last Beetle, nicknamed “El Ray”, was delivered to the company’s museum in Wolfburg, Germany that year. Whether you own an antique VW Beetle or any other type of classic or antique car, it’s important to protect it financially with the right type of insurance coverage. 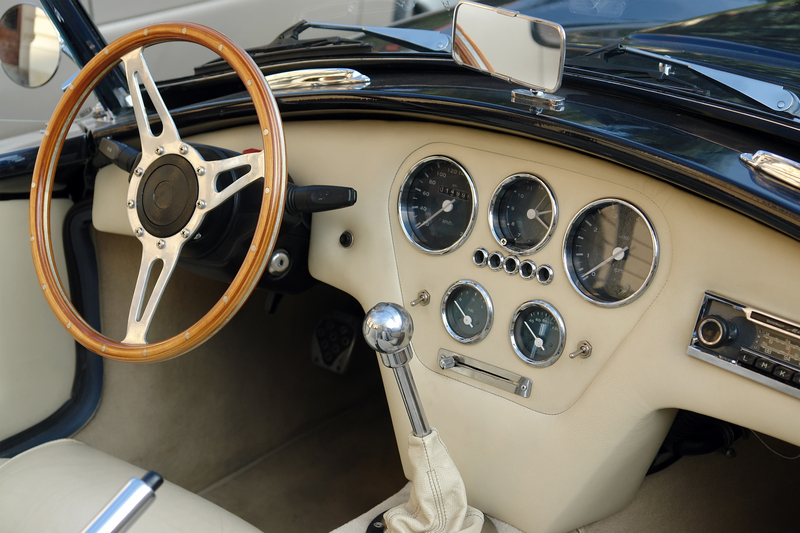 At Condon Skelly, we know how exciting it can be to start a classic car collection. We’ve been helping our customers protect their classics with affordable, industry-leading insurance coverage since 1967. We’re a group of collectors, enthusiasts, and professionals who specialize in insuring all types of collector vehicles. For more information, please contact us today at (866) 291-5694. 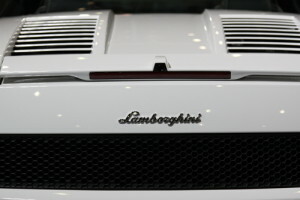 Earlier in July, at the Le Meridien Hotel in New Delhi, a hotel valet attempted to park a guest’s Lamborghini Gallardo Spyder, however apparently was not an experienced enough driver to be behind the wheel of such a powerful car. As he accelerated, the vehicle veered out of the man’s control, through a crowd of people, and into a concrete barrier. Fortunately, nobody was seriously injured in the incident, as the only injury sustained was to the driver himself and was minor. Unfortunately however, the hotel simply calls this incident an “accident” and so far has taken no financial responsibility for the damaged specialty car. The car’s owner claims that the vehicle is worth nearly a half a million dollars, due to the high cost of importing it, and estimates that the damage done to the car comes to just over $330,000. In this case, the owner of the Lamborghini has filed a complaint against the valet, however if the hotel refuses to pay, this means that the owner is financially responsible for the damage done to his vehicle. Although this type of case might have a different outcome here in the U.S., the scenario still shows how important it is to have the right type of insurance coverage for specialty, exotic, or classic cars. In addition, it should serve as an example of the importance of taking care of your exotic car; perhaps thinking twice about letting anyone else behind the driver’s seat, even if it is someone who should seemingly be an experienced driver. 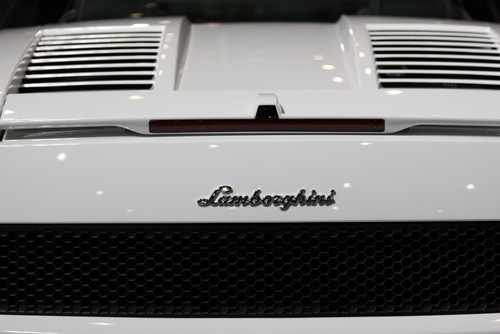 Whether you own a Lamborghini or any other type of specialty or classic car, it’s important to protect it financially with the right type of insurance coverage. At Condon Skelly, we know how exciting it can be to start a classic car collection. We’ve been helping our customers protect their classics with affordable, industry-leading insurance coverage since 1967. We’re a group of collectors, enthusiasts, and professionals who specialize in insuring all types of collector vehicles. For more information, please contact us today at (866) 291-5694. In a post back in February, we took a look at one of the most memorable muscle cars of its time, the 1968-1969 Dodge Charger. Another car that joined the ranks of classic American muscle cars of the time, also from the Dodge family, was the Dodge Dart. This vehicle has been called the “most unexpected muscle car” by many classic car enthusiasts. The Dodge Dart name debuted in 1957, as a show car featuring a body designed by the Italian coachbuilder Carrozzeria Ghia. Instantly and highly popular successes, the first Dodge Darts were reduced-sized larger cars that had been created to replace the Plymouth as the low-priced car for the Dodge dealer network. The Dart sedans and coupes were modeled after the Plymouth platform and had a 118 in wheelbase, shorter than the standard-size Dodge line. The Dart’s sales beat out those of the full-size Dodge Matador and Dodge Polara, but more importantly, it created an in-house competitor for Plymouth. 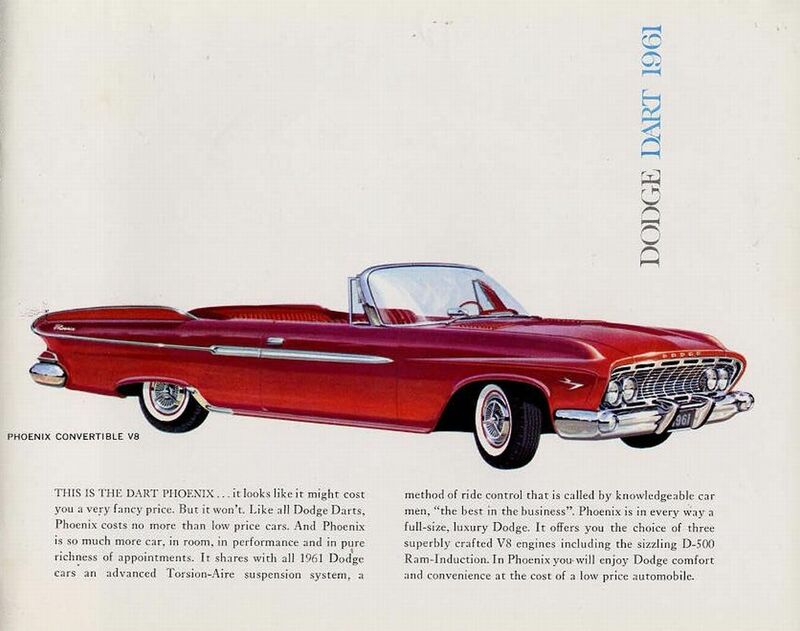 Dart sales were so strong in 1960 that Dodge had to cut back its medium-priced model lineup. Sales and popularity of the Dodge Dart stayed strong throughout the 60’s and into the 70’s. They quickly became part of the muscle car culture, with their powerful engines and appealing visual characteristics. The production of the Dodge Dart subsequently ended in 1976, being replaced by the F-body Dodge Aspen that spring. However, after 35 years, the Dodge Dart (PF) was resurrected for the 2013 model year as a nameplate in the domestic market to replace the Caliber as Dodge’s compact passenger car. Whether you own a classic Dodge Dart or any other type of classic or antique car, it’s important to protect it financially with the right type of insurance coverage. At Condon Skelly, we know how exciting it can be to start a classic car collection. We’ve been helping our customers protect their classics with affordable, industry-leading insurance coverage since 1967. We’re a group of collectors, enthusiasts, and professionals who specialize in insuring all types of collector vehicles. For more information, please contact us today at (866) 291-5694. Most classic car collectors know that Jay Leno’s garage boasts a rather impressive collection of classics, antiques, and collector vehicles. Referred to as the “Big Dog Garage”, Jay Leno’s collection has it all, from classic cars to supercars, to restoration projects and road tests. Below are some of the most impressive vehicles in his collection, as cited by Business Insider’s transportation writer Travis Okulski. When he bought it in 1972, Leno only paid $350 for the 1955 Buick Roadmaster! He restored this car in 1973 and drove it everywhere. It was even the car he used on his first date with his wife. This wasn’t the car’s only “first”. This car was the beginning of Leno’s extensive automobile collection. Leno’s 1986 Countach was actually one of his daily cars, with almost 70,000 miles on it. The Lamborghini Countach features a Lambroghini trademark first with its’ scissor doors; hinged at the front with horizontal hinges, so they lift up and tilt forward. It’s unique look made it one of the most popular cars there was between the 1970’s to the 1990’s. While the top speed of a 1937 Fiat Tiopolino was only 53 mph and contained a small five gallon fuel tank, this vehicle was able to get almost 40 miles to the gallon. At the time of its production, the Topolino was one of the smallest cars in the world, and this vehicle is one of the oldest in Leno’s collection. 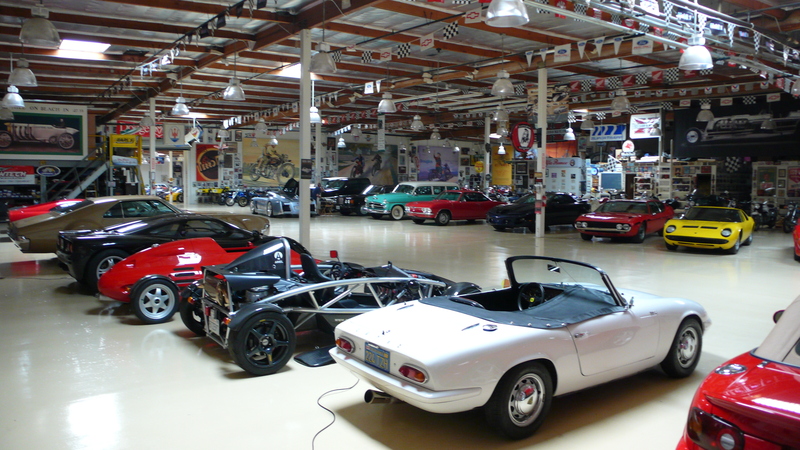 This is just a tiny sample of the classic cars living in Leno’s Big Dog Garage. His collection has been admired by many, and serves as an inspiration to both beginner car collectors and seasoned enthusiasts. At Condon Skelly, we know how exciting it can be to start a classic car collection. We’ve been helping our customers protect their classics with affordable, industry-leading insurance coverage since 1967. We’re a group of collectors, enthusiasts, and professionals who specialize in insuring all types of collector vehicles. For more information, please contact us today at (866) 291-5694. Where Can You Find the Best Classic Car Shows? As the weather warms up nationwide, classic car enthusiasts are beginning to attend or participate in classic car shows. There are many types of car shows out there, from those that focus on showcasing vehicles, to others that involve trading and selling parts. No matter where you live, there is bound to be a great classic car show around your area this summer. Many sites, including AutoTraderClassics.com, list a vast amount of car shows; below are some of the best in the U.S. This annual car show is a charitable event, held in Pebble Beach, California on the third week of August. The event is split into various sections; a fundraiser, auction, and social event. Considered the most prestigious event of its kind, attendees must be invited to the show. 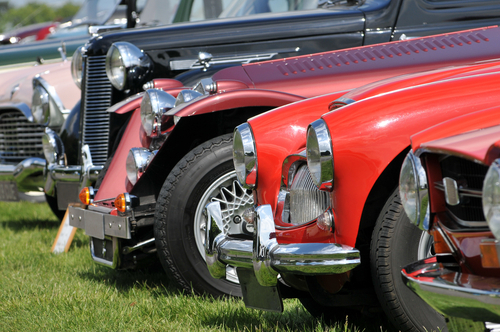 Held in Avon Park, Florida, the Wells Motor Company car show is an opportunity for classic car enthusiasts to get a glimpse of more than 150 classic cars in various makes and models. Wells Motor Company is the only Jeep, Chrysler, and Dodge dealer in the area, and this car show is free for attendees and registered vehicles. This informal classic car show originated in Irvine, California, and has turned into a staple activity for Southern California classic car enthusiasts. It occurs every Saturday, year round. Cars and Coffee is currently expanding into many metropolitan areas throughout the country. This event is held in the Spring as well as the Fall, with the next one occurring September 20-23. Taking place on the 1.5 mile stretch of the Charlotte Motor Speedway, it is one of the largest classic and customer car gatherings on the east coast. The classic car shows mentioned above are just a few of the great events throughout the country. No matter what type of classic car you own, or if you are thinking of purchasing a classic or collector vehicle, Condon Skelly has the insurance policy you need to financially protect your investment. We can insure a wide variety of vehicles, from original antiques to brand new exotic sports cars, as long as the vehicle is a true collectible. Please contact us today to learn more.